McCain: Obama speech harmful to talks Jump to media player Republican senator John McCain has described president Obama's statement the on so-called fiscal cliff of tax rises and spending cuts, as a "cheerleading, ridiculing of Republicans exercise". 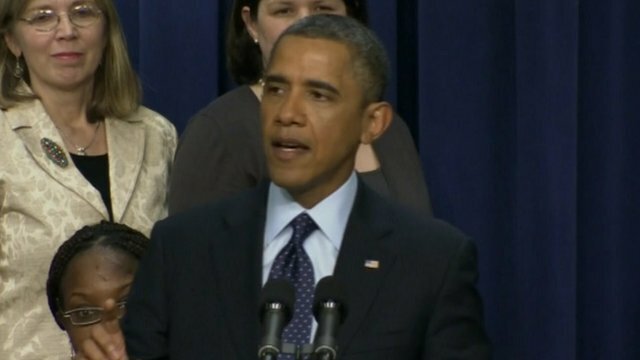 Obama: US budget deal within sight Jump to media player President Obama has said an agreement with Congress to prevent tax rises in the New Year on middle class Americans was in sight. 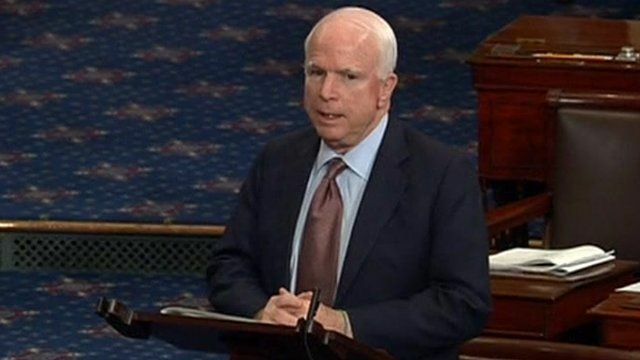 Republican Senator John McCain has described President Obama's statement on the so-called fiscal cliff of tax rises and spending cuts, as a "cheerleading, ridiculing of Republicans exercise". Speaking on the Senate floor, Mr McCain questioned President Obama's commitment to finding a resolution and said the president had sent a clear message of confrontation to Republicans.